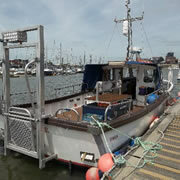 Final Answer is Littlehampton’s fastest and most popular modern mid channel vessel for fishing and diving. 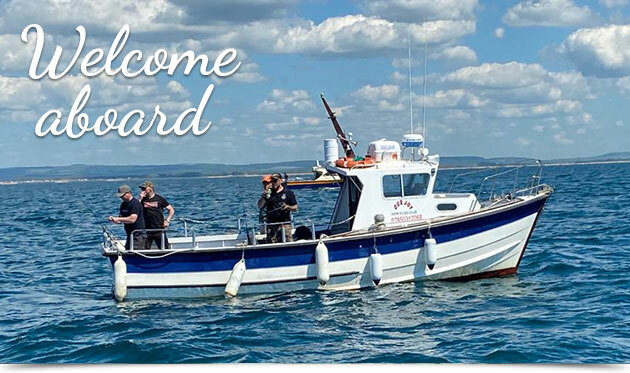 Final Answer is skippered by an experienced father and son team - Vernon and Daniel Parker who pride themselves on putting their customers first. 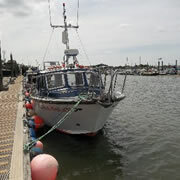 Final Answer is a very modern Lochin 33 giving great speed and comfort for up to 10 passengers with plenty of deck space. 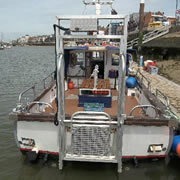 Her speed and reliability makes Final Answer an Ideal vessel for angling, diving and commercial work. 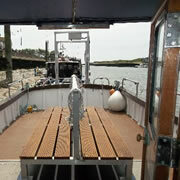 She is fully equipped and insured to comply with all code of practice requirements. 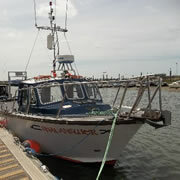 Vernon and Daniel have many years experience and knowledge of the local coastal area, they have previously owned and skippered Dora May, Runaways, Les Ann, My Joy, Our Joy and now Final Answer. Whatever your requirement are, we’re here to help you. 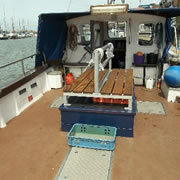 Please call us on 01243 553 977 or 07850 312 068 where we will be happy answer your questions.